Administrative Professionals Day (AKA Secretaries Day) is the time when those in charge show appreciation to their staff for all they do to keep everything running smoothly. Let's face it, without a good team behind you it would not be business as usual! Let us deliver the best in administrative professionals day gifts to your staff -- from beautiful flowers to gift baskets filled with yummy snacks, you can't go wrong with HOLLYWOOD FLORAL! Send mom your love this year through a beautiful bouquet of her favorite flowers. Mother's Day is your time to show mom just how much you appreciate her and everything she has done. 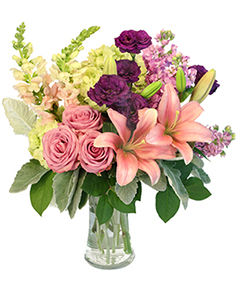 Let HOLLYWOOD FLORAL help you say "Thinking of you, mom" and "I love you always" with flowers -- no matter if you live here in Dallas, or across the country. Simply click any of the beautiful Mother's Day flower arrangements above to order online! Having a hard time deciding on the perfect gift for dad? HOLLYWOOD FLORAL can help! Send dad a artistically crafted floral tribute to show him how much you care. Perhaps your dad is the type that would prefer a gift basket filled with his favorite snacks! Whether your dad lives in Dallas, or clear across the country, we've got you covered! Roses are always a great, classic way to say 'I love you' while a bouquet of your loved one's favorite flowers is always perfect on Valentines Day. Sending roses is always a special occasion. 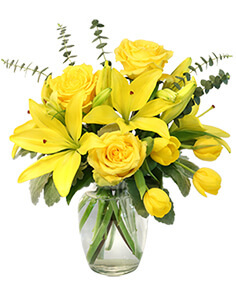 Let HOLLYWOOD FLORAL help you send this traditional romantic gift. They are also one of the most popular and recognized flowers in the world. No matter who you want to send flowers to, roses are a perfect choice. Send red roses for romance, white roses for respect, and yellow roses for friendship. 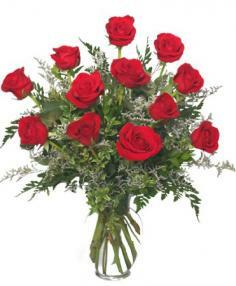 Whatever rose you choose to send, HOLLYWOOD FLORAL in Dallas can help you!